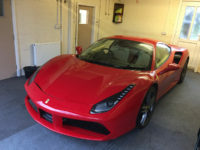 Here at Leather revive, we offer a superb highly used car leather repair service for our customers. We offer top quality , very cost-effective mobile leather restoration for your car leather seat and interior. So if you’re looking for a superb car leather repair service then you have come to the best place for professional services and low prices. We have over 20 years of experience in the leather repair industry and have been able to perfect our craft. Our services are second to none, if you need a quick quote or in depth talk about our services then don’t hesitate to get into contact with us by email or phone. Car interiors take a lot of wear and tear with extremes of temperatures, getting dirty and wet. No wonder after a few years they can start to look shabby. 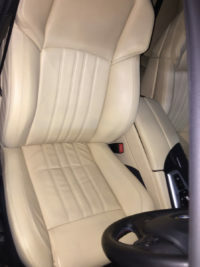 Leather Revive specialise in car leather repair which looks natural and blends so that the finished product is an interior with immaculate condition. With our unique techniques, your leather seats are restored in a condition to match the age of the vehicle, leaving the natural creases. Many repairs done by “smart repairers” give a freshly painted look, which stands out just as much as a worn seat! 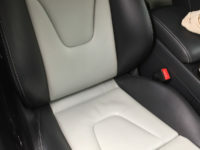 So ensure to try our superb unique car leather revive services, which will not only save you money, but allow your car to look like its original form! 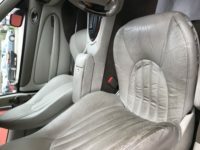 We undertake a range of car leather repairs which include leather seat repairs for cars, leather tears repairs, leather steering wheel repairs and general car leather restoration repairs. Our superb skills offer a fantastic opportunity to get your leather seats repaired to an absolute perfect finish! 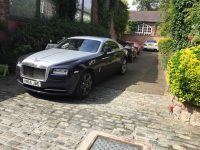 We have a vast amount of experience in leather car repairs which offer you the peace of mind that your car is getting revived by a professional team. We can ensure you that we offer some of the lowest prices around, simply get into contact with our friendly team to get more information on the service you require. Ensure that your seats look the best with our repair or cleaning services which are second to none, take a look at our testimonials and pictures of our finished jobs to clearly see our professional work. In this video you can see a BMW 5 series leather car seat being repaired. 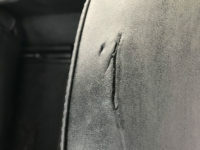 This leather seat shows typical damage of wear and tear to the leather, where over time a side of the seat has been rubbed off by the drive getting in and out of the car. Here at Leather Revive we use a similar method we use a similar method when carrying out our leather sofa repair. We ensure our customers that their seats and furniture will look amazing after our services have been applied, adding years of use to your leathers. Don’t hesitate about our services and give us a call if you have any questions at all about our offered leather repair services. The following case studies resulted in magnificent interior leather improvements. 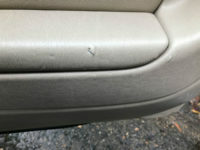 Car leather repair is always a good investment! Not sure if your Leather Repair problems can be solved? Contact your Leather Repair experts Now! For your FREE no obligation quote!